Balaton is the largest lake in Europe. Its coastline stretches for 236 km! 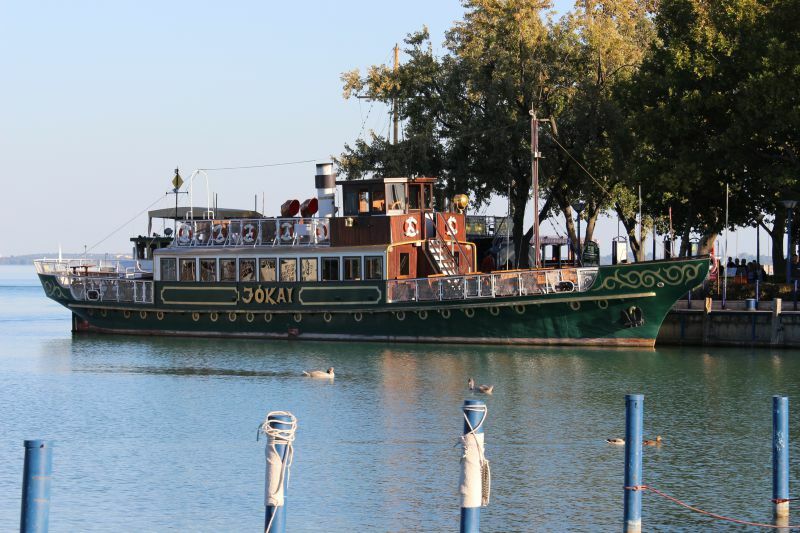 Once you are in one of those cities on the lake, sooner or later you will find yourself wondering about the transportation in the Balaton region: how to get around the city, how to get to other towns and villages, whether it is possible to use water transport, whether it is necessary to rent a car. The IGotoWorld Team investigated the matter, tried everything themselves and prepared for you a selection of all sorts of ways to get around and through Balaton. Balatonfüred – the capital of the North Coast. Siófok – the capital of the South Coast. Keszthely – a city in the western part of Lake Balaton, one might say it is the cultural capital. Tapolca – a city in western Hungary located 10 km from Lake Balaton. Veszprém – a city near the lake which is connected by highways to Budapest, Székesfehérvár, Győr. The railway goes around Balaton. The trains of the north and south of Balaton differ. The main line through which trains from major cities travel runs in the southern part. The northern part is intended more for diesel trains with a speed limit of 80 km / h.
Budapest – Balatonszentgyörgy – Nagykanizsa – Murakeresztúr. International trains make stops only in the largest cities of Balaton, such as Siofok, Balatonfüred, Keszthely. 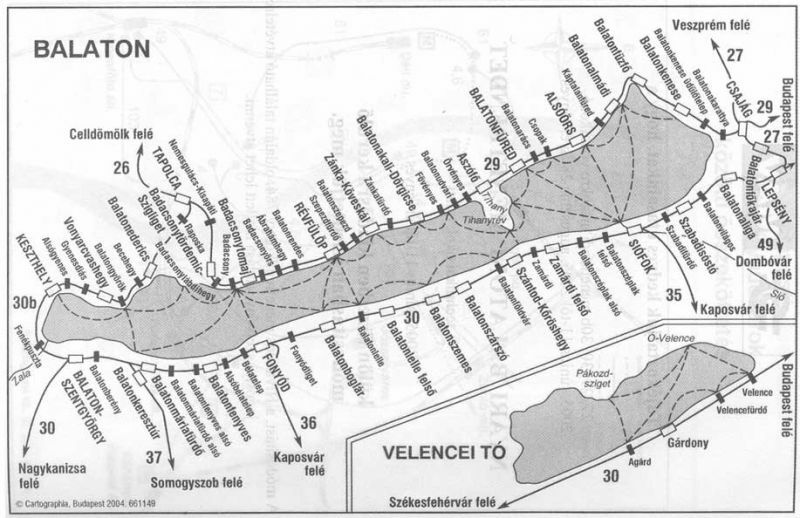 A significant part of the railway line runs along Lake Balaton connecting settlements. “Long” train routes do not run along the lake, but turn in the direction of large railway junctions, such as Tapolca. Traveling by train along the lake can only be convenient for short distances. It makes no sense to go from the northern part of the lake to the southern one by train. It is easier to use water transport because trains make two stops on its way. There are different types of train. For example, in the north or west, you will find more suburban trains. There is a narrow-gauge railway along the coast. Trains do not run all night. Usually, the first departure is at around four in the morning. The last train leaves at 21:00–22:00. 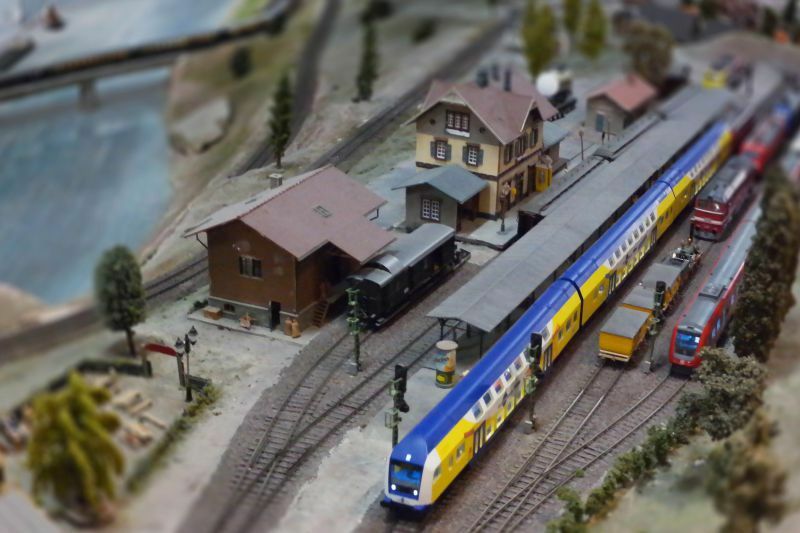 Picture taken in the Hunting and the Model Railway Museum in Keszthely. Balatonfured – Balatonalmadi. Price: 310 forints, about 1 euro (15 km, 13–18 minutes). It runs from 03:45 to 21:29. Balatonfüred – Siofok. Price: 1860 forints, about 6 euros (about 100 km, 2-3 hours). It runs from 03:45 to 21:29. Balatonfüred – Keszthely. Price: 1490 forints, about 5 euros (2–3 hours, 77 km). It runs from 04:00 to 21:29. Balatonfüred – Tapolca. Price: 1120 forints, about 3 euros (1–1.5 hours, 52 km). It runs from 04:30 to 20:48. Keszthely – Tapolca. Price: 465 forints, about 1.5 euros (30 minutes, 25 km distance). It runs from 05:24 to 22:35. Keszthely – Vonyartsvashhed. Price: 250 forints, about 0.7 euros (8 minutes, 6 km). It runs from 05:24 to 22:35. You can find a more detailed schedule and purchase tickets online on the official website of the Hungarian State Railways. Buses will help you get to the places the trains can’t reach. However, unfortunately, they are rather slow when compared to traveling by car. Convenient to use for short distances. It makes no sense to go from the south coast to the north by bus – it will take too long. Transport does not run all the time. For example, the last bus from one settlement to another can depart at around seven in the evening. You cannot take the bus if it’s 21:00 or 22:00. You are tied to time. You can catch a bus every one or two hours. Hévíz – Keszthely. Price: 400 forints (about 1.2 euros). The ride takes 10 minutes. Buses run every two hours. The first departure is at 05:40. The last is at 18:30. Keszthely – Tapolca. Price: 800 forints (about 2.5 euros), the ride takes 46 minutes. The first departure is at 4 in the morning. The largest Hungarian carrier is Volanbusz. Tickets can be purchased online, the prices and schedule can be found on the official website. However, there are smaller companies that offer transportation services at Balaton. Their websites only have timetables, all the information is presented in Hungarian :) It could be convenient to use aggregator sites that collect data from various sources if you want to find out more about schedules. If you cannot purchase a ticket online, you can buy it at the bus station. There are amusing trains traveling in two tourist villages – they can be easily called a local landmark. 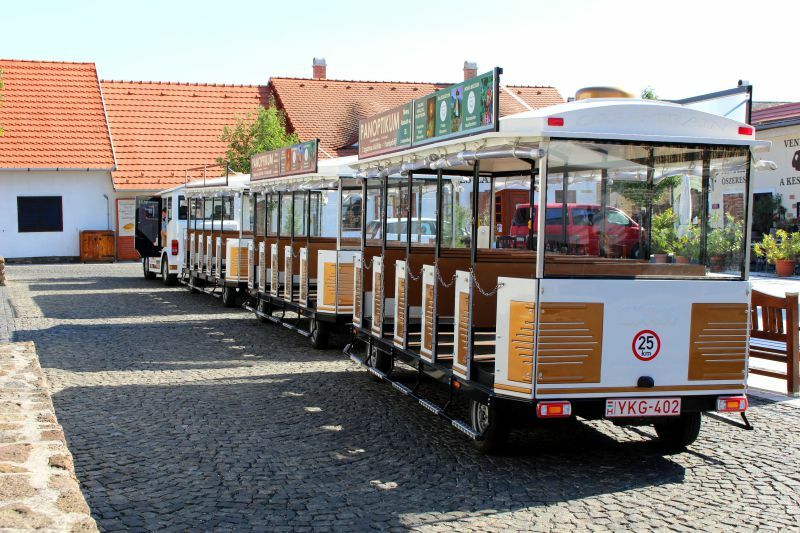 They not only serve as the only means of transportation – the trains are used for tourist tours since their route goes through the most exciting places. Tihany. The tourist train appeared in 1997. This is a family business. In Tihany, this train is called the Locomotive Little Train Tihany and the Dotto Little Train. Price: adults will have to pay 500 forints, children – 400 forints (about 1.2 euros). 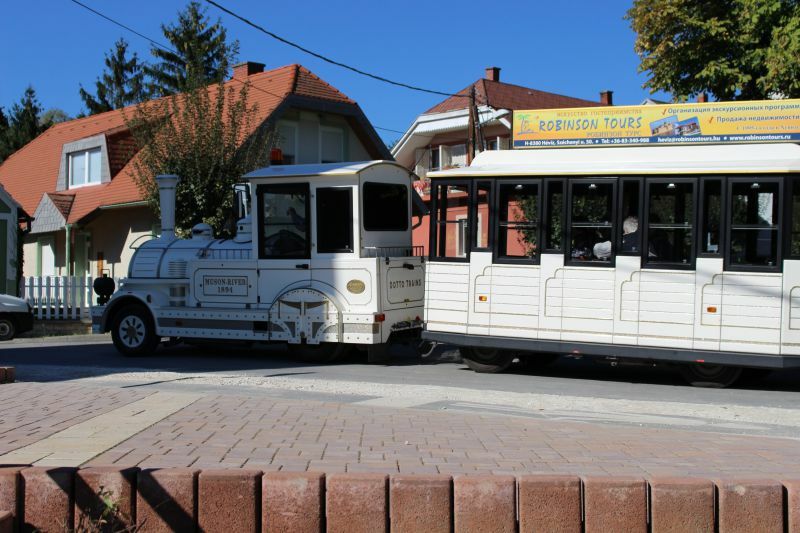 In Tihany, a tourist train runs every day, from April to October. It departs every 20 minutes between Tihanyi Fogas Csárda and Tihany Rév, and between Tihany Fogas Csárda and Tihany Hajóállomás. The ride takes 10–20 minutes. Heviz. The train route goes through the main attractions of the city. It makes eight stops. The first department is at 10:00. The last one is at 18:30. The train travels from the center of the city, stops by hotels, the thermal lake, and Egregy Grapehill. Price: 1000 forints (about 3 euros) and 500 forints (for children under ten years). Photo taken near the Tihany Abbey. 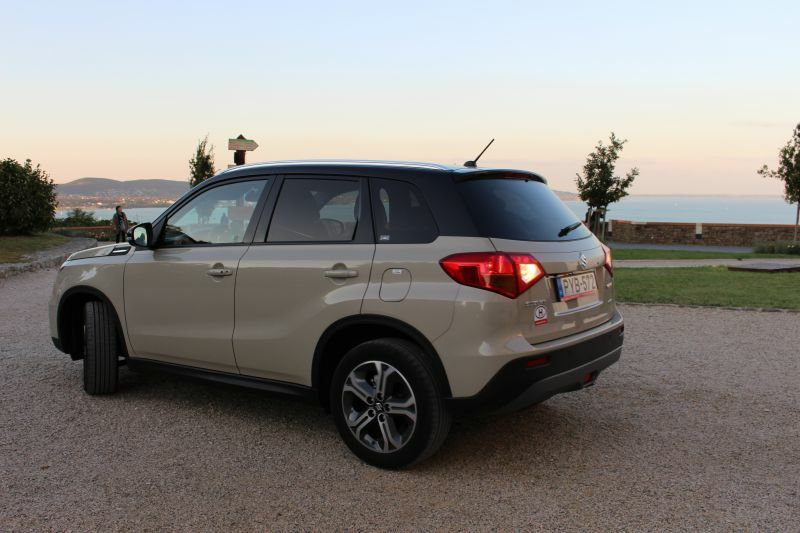 Of course, it is the car that gives freedom of movement around Balaton. This is a fast and convenient way to visit all the interesting sights in the region. Especially when you only have a week and want to sightsee everything! Obviously, the IGotoWorld Team chose this way of transportation as the main one. We would not have made even half of our discoveries if we used only public transport. Although the public transport network in the Balaton region is quite well-developed. Our motorhome :) Photo taken on the observation deck in Tihany. The M7 motorway (the only toll road near Balaton) runs along the southern coast of Balaton and connects Budapest to the Adriatic Sea. In the northern shore of Lake Balaton (by the way, the northern shore of Lake Balaton is the most interesting in terms of attractions) there is Main road 71 which passes by such tourist places as Keszthely (and from there you can easily reach Heviz), Lake Balatonfüred or the Tihany Peninsula. Main road 71: it goes through the Balaton Uplands National Park. Therefore, there are unique landscapes: green hills, ancient villages. You will also find areas between Vonyarcvashegy and Szigliget quite interesting (observation deck: 46.769394, 17.360667), Balatonakali and Tihany. The terrain is hilly, so the lake is visible. There are also many golf courses. Photo taken from the viewing platform between Vonyarcvashegy and Szigliget. 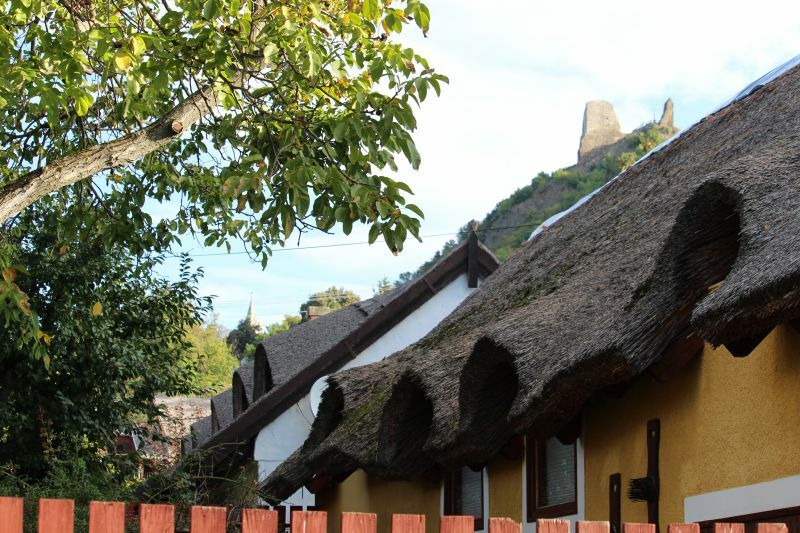 Check out Szigliget, namely the area at the foot of the fortress if you like picturesque streets with old houses with thatched roofs. We’re talking about Kossuth street and the ones adjacent to it (46.800986, 17.435523). 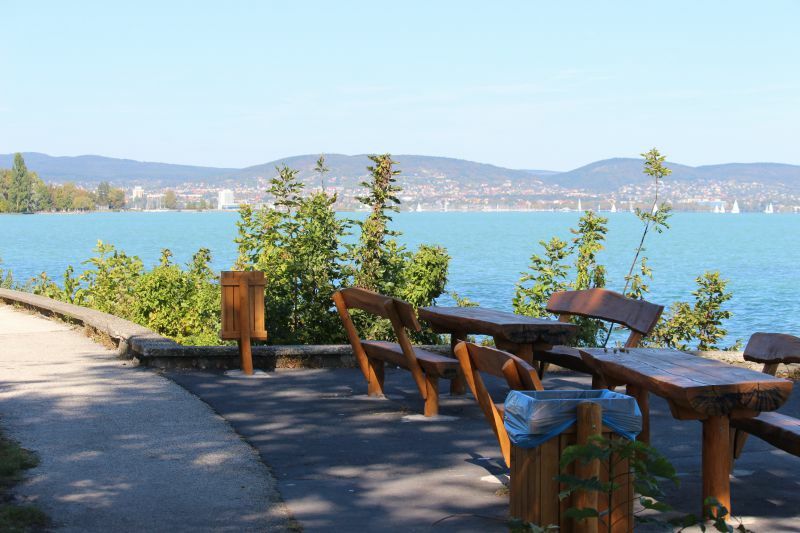 The riverfront of the Tihany Peninsula offers an incredibly beautiful panorama. There is a car road, a bike path and you also can walk on foot here. There are open gazebos and both free and paid beaches. Coordinates: 46.900263, 17.897551. We rented a car right away after the arrival in Budapest, at the airport, with the help of Avis. Everything was arranged on the spot in just a few minutes. Spacious SUV was waiting for us outside. It was practically our home for the entire week, every day we left early in the morning and returned late in the evening. 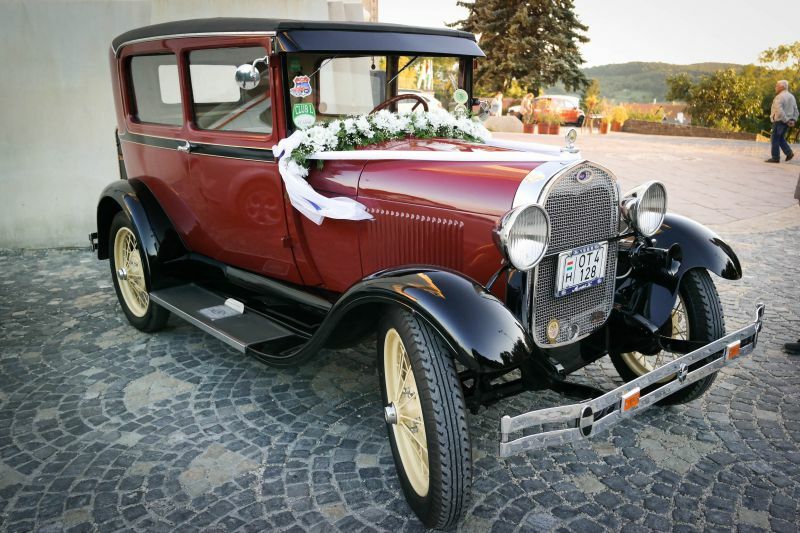 To find how to rent a car in Hungary, keep on reading. The price of gasoline in Hungary: 338–400 forints per liter (about 1.2 euros). Do not worry about traffic jams: there are none at Balaton. Finding a parking space can be a problem in high season. In the off-season, it is quite easy. Parking is paid, even near supermarkets. Price: 500–700 forints (about 2 euros). The only toll road in the Balaton region – M7. If you are traveling on a rented car, the payment is already included in the rent price. If you are driving a personal car, you will need to purchase an electronic vignette that will allow you to access toll roads. A 10-day e-vignette price ranges from 1,470 forints (5 euros) to 3,500 forints (11 euros) depending on car class. If you are handy with bicycles, then you do not need cars, buses or trains. Just rent a bike. 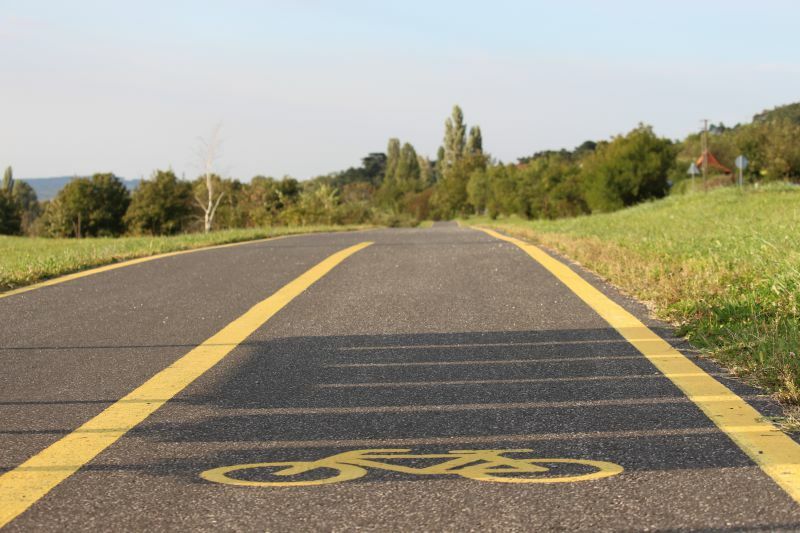 There are 222 kilometers of road suitable for cycling around Balaton. 156 km of them are exclusively bicycle-only lanes, and the remaining 66 km only have dedicated lanes right next to those for cars. More than thirty designated routes, other five run over mountainous terrain, and other six are long-distance. The northern part of the Hungarian sea is the only place where you will find hilly terrain. The southern and eastern shores are completely flat. If you wish, you can not only go from one village to another but also go on a round-the-lake trip as well. Many do so and book accommodation at the place of destination. 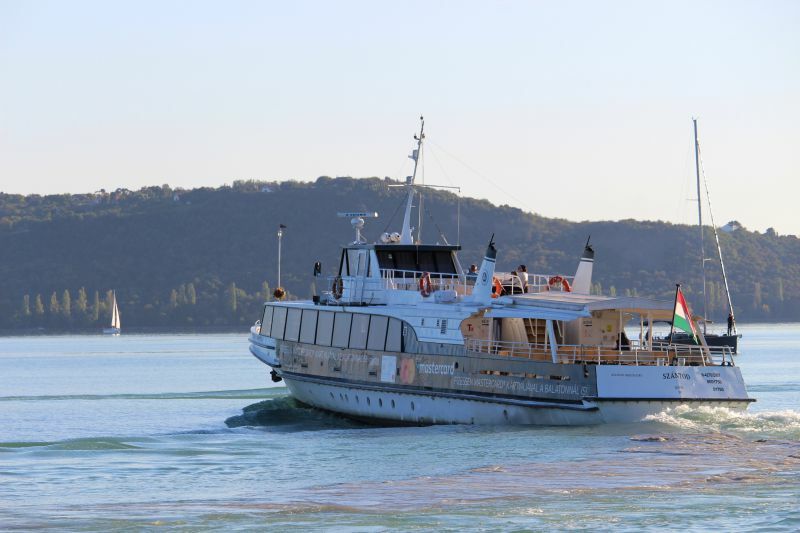 If you get tired or want to travel to the neighboring shore quickly, this can be done in Tihany by ferry. 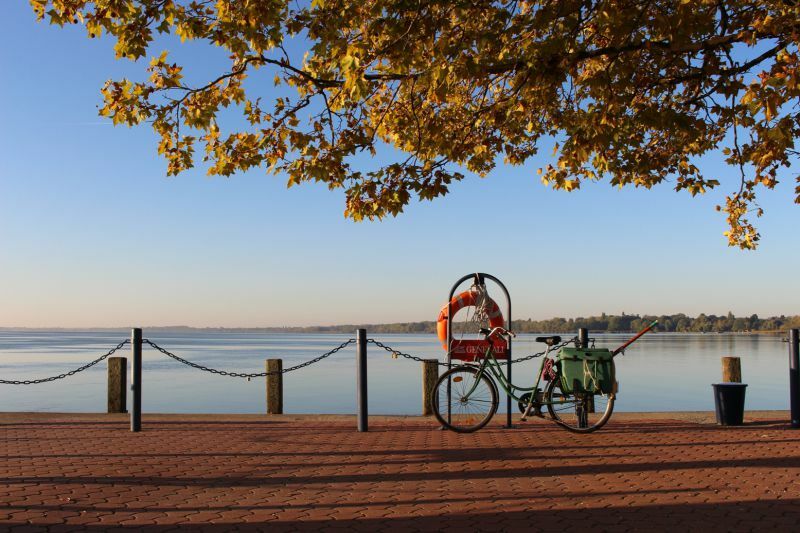 Where to rent a bike at Balaton? Which cycling routes to follow? What are the nuances of cycling around Balaton? It is more convenient to travel around the region by water. If you do not have a car, you will save time on trips from the southern part of the coast to the northern and vice versa. 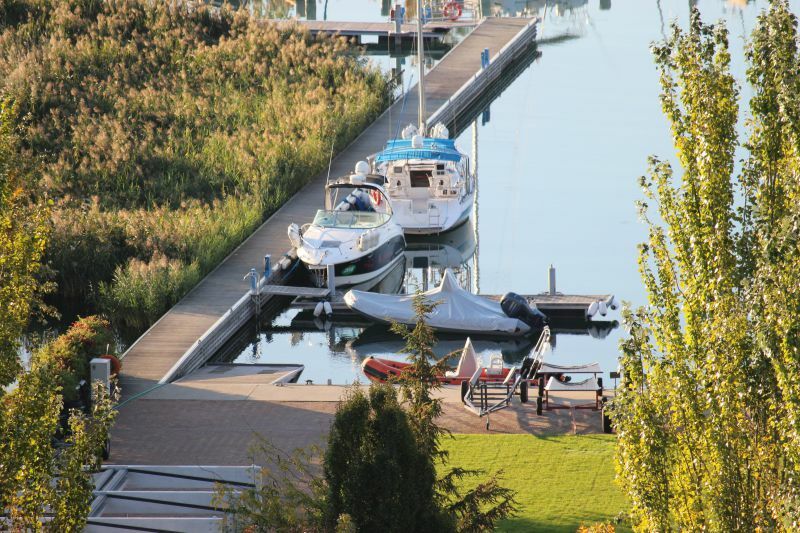 There are 22 piers on Lake Balaton. You can travel by boat, ferry or on a yacht. 1. Ferry. The narrowest point is between the Tihany Peninsula and Szántód. This is where the ferry plies. It is convenient to get to the other side with a bicycle or car. Price: 700 forints – for adults, 350 forints – a reduced ticket. 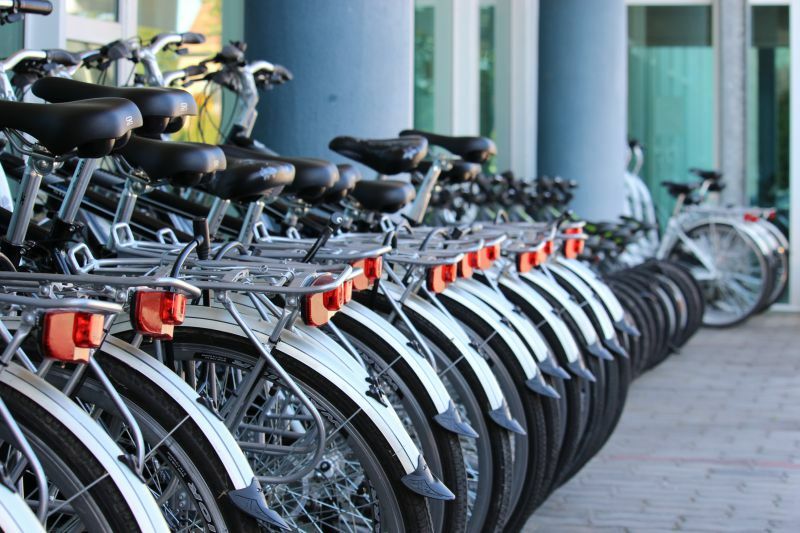 If you want to take a bike with you, you need to pay another 300 forints, and for a car – 1700 forints. The first departure from Tihany is at 7:00, the last – at 19:00. Enquire about the schedule as it depends on the time of year. 2. Ships. 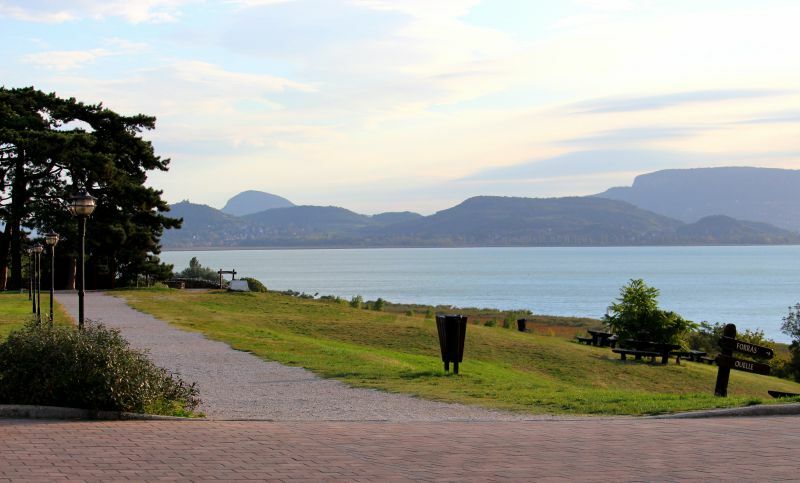 They offer both regular transportation services and sightseeing tours between the Balaton cities. In 2018 the water transport had 15 routes. The main port of Balaton is Siófok. A ticket from there to Balatonfüred is 1,400 forints. 3. Moreover, there is also a water taxi and unique fun boats for children. A tour program where kids are entertained by cartoon characters is available as well. Such a ship departs from 3 ports – Siófok, Balatonfüred, and Badacsony. The ships start plying the waters of Balaton on Easter. 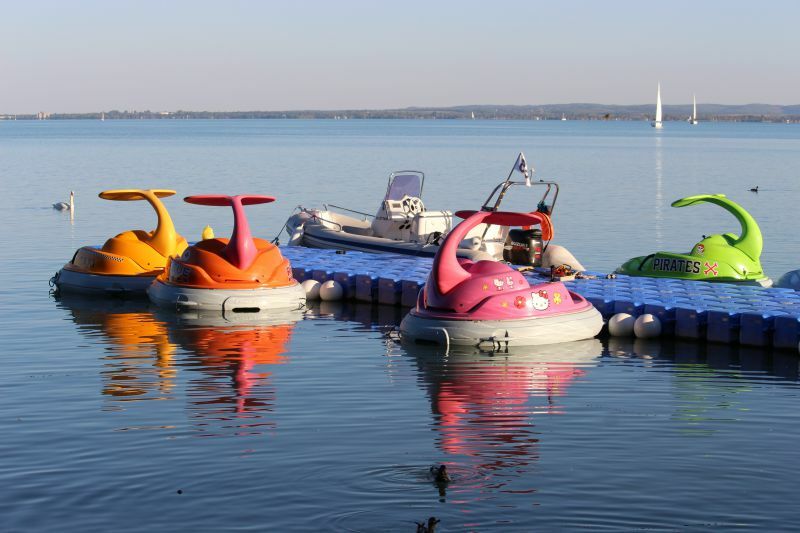 To find out more about water transport of Balaton and water activities read the article: "Water tourism at Balaton." 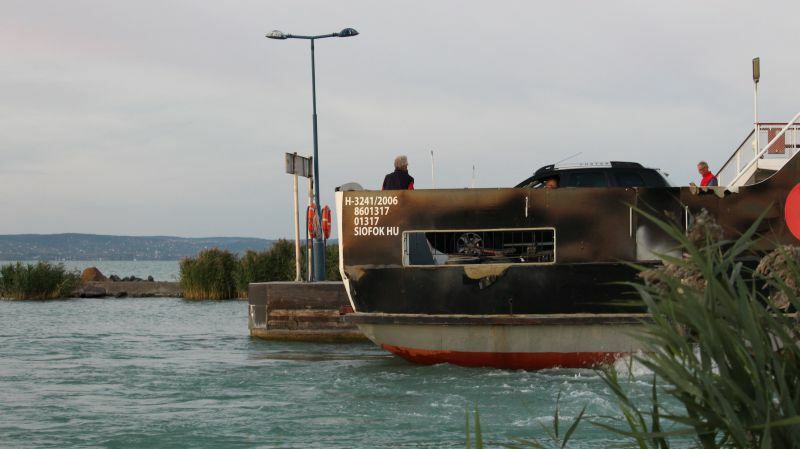 Getting around Balaton and traveling through the lake itself is easy: this is a tourist region after all! Here you will find excellent roads that will delight any cyclist and motorist. You will also get the opportunity to enjoy cruises and comfortable train rides. And make a lot of discoveries! Have a nice trip! What to do at Balaton: 24 ideas for unforgettable holidays. The best restaurants and cafés on Balaton: 14 places with delicious cuisine. Recreation in Heviz: the city of the thermal lake and pink lilies.